Hi party people! Welcome back to another episode of Open House. Today I am proud to feature an exclusive hour with Italian strongman, Andrea Bertolini! At the age of 14, Andrea started DJing at school parties, then in local clubs; at that same time he started involving himself with music production. By the Spring 2003, Andrea had produced a number of tunes, including “Nasty Bass,” an international hit that was included in the sixth volume of the “Subliminal Session” (on the label owned by Erick Morillo) mixed by Benny Benassi. Since March 2005, Andrea has worked with Stereo Seven Records as A&R and has remixed artists such as John Acquaviva, Warren Clarke feat. Michelle Weeks, David Amo & Julio Navas, Mauro Picotto, Dhany from Benassi Bros, Topazz, Weekend Heroes and many more. In August 2007, Andrea was included to DJ at the ‘MTV Music 4 Life Party’ at Street Parade 2007 (Zurigo – Swiss) with Eric Prydz, and Tocadisco. In October 2007 he released his first album “My Waves”. In March 2009 he released “Nervioso” on Fresco Records (Spain) with D. Amo & J. Navas feat. a remix from Olivier Giacomotto that reached n°7 on Beatport Top 100 Techno Chart included also in Toolroom Night Compilation mixed by Funkagenda. In June, 2010 Andrea he released “Clouds” with the German singer/producer, Hatfield (Becker’s partner in crime on Plastik Park Records) feat. a remix from David Amo & Julio Navas Remix that reached n°9 on Beatport Top 100 Progressive House Chart. Also in June 2010, Andrea received the award as one of the most representative Italian top 100 DJs in the last 20 years. In January 2011 he reached n°4 on Beatport Progressive House Chart with his single “Drop That Beat” released on Bootylicious Rec and it remained in the top ten for 8 weeks. 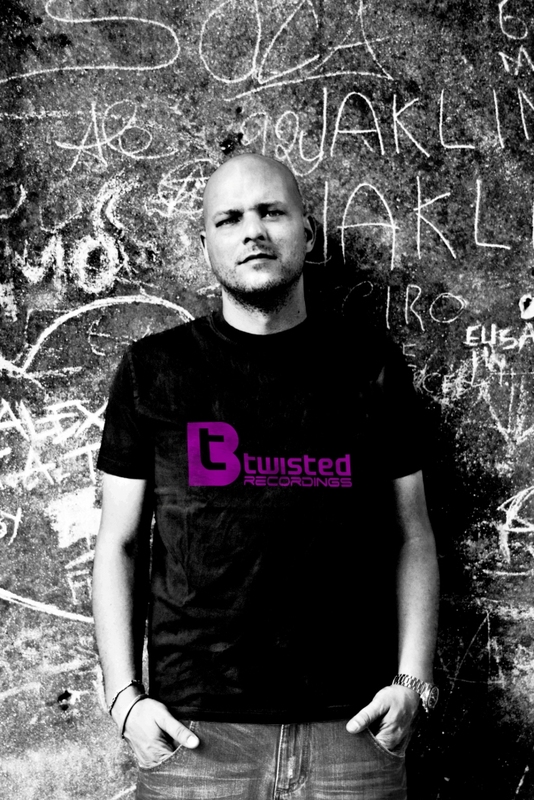 In April 2011, after 10 years in the business, together with his partner Vanshock, Andrea proudly launched his new label ‘Btwisted Recordings’. The debut release on the label is Andrea’s massive reworking of the anthem ‘Tear Drop’ by Massive Attack.The package features the Original and a remix from UK based duo Russell G (Global Gathering / In Charge / Spinnin) & Steve Haines (Baroque / CR2), the EP is a perfect mix of tech grooves, big melodies. Andrea has played all around the world: from Russia to Brazil, from France to Australia, and from Mexico to India… and he has appeared on popular labels such as, Pacha, Definitive, Iboga, Echoes, Toca45, Plusquam, and many more. Uou can check out Andrea’s complete discography on Beatport. I am very excited to have Andrea Bertolini on the show today, and I know you will enjoy!